The heavy-lift launcher was scheduled to lift off Tuesday, but widespread protests and a strike by workers from one of Arianespace’s subcontractors prevented the planned rollout of the Ariane 5 to its launch pad Monday. Arianespace hoped to reschedule the launch for later in the week, but the company announced Thursday that the commercial flight will remain grounded until further notice. “The evolution of the situation does not permit the restart of operations for the Ariane 5 launch scheduled for today,” Arianespace said in a statement Thursday. 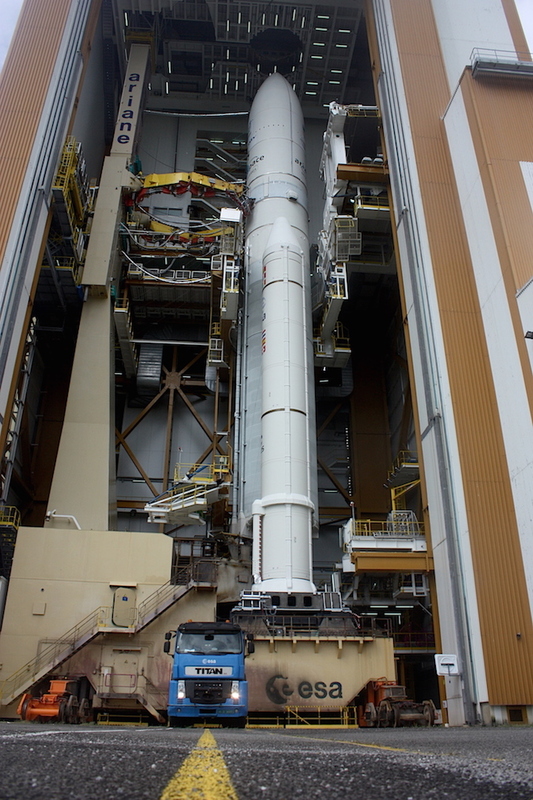 The fully-assembled Ariane 5 rocket, topped by the SGDC and Koreasat 7 communications satellites for the Brazilian government and South Korea’s commercial operator KTsat, are secured inside the spaceport’s final assembly building, officials said. 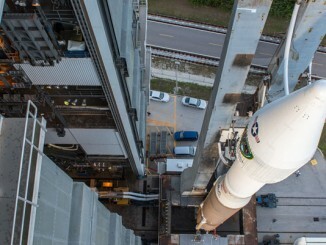 The delay will likely cause Arianespace to push back the following launch from French Guiana. 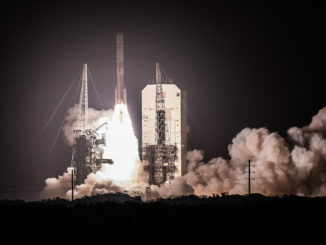 Once the Ariane 5 takes off, a Russian-made Soyuz rocket is next in line at the tropical space base, slated to loft the Boeing-built SES 15 communications satellite into orbit to provide in-flight Internet connectivity for airline passengers, and support government, networking and maritime customers across North America. Workers from Endel Engie, the company tasked with driving the Ariane 5 rocket from its assembly building to the launch pad at the Guiana Space Center, went on strike Monday and prevented the booster’s rollout. A union representative told French media that the strike was called to reopen wage negotiations. Labor issues at the spaceport have pushed back launches before, most recently in 2011 when the operators of radar tracking systems in French Guiana went on strike, delaying an Ariane 5 flight by 24 hours. The Endel Engie strike was part of a wider net of protests this week across French Guiana, a lightly-populated French department on the northeastern coast of South America. France Guyane, a local newspaper, reported Thursday that most businesses in Cayenne, the territory’s capital, were closed and large aircraft were prohibited from landing at the city’s airport. Some schools in French Guiana were also closed this week, and an Air France flight from Paris to Cayenne turned around over the Atlantic Ocean and returned to France on Thursday. Local workers are protesting high crime rates, hiring practices and economic conditions in French Guiana, along with the proposed privatization of the Kourou Medical and Surgical Center, or CMCK, in the town closest to the space center. Protesters set up blockades on roads across French Guiana, including a barrier on the main highway leading into the Guiana Space Center, a facility managed by CNES, the French space agency, with financial support from the European Space Agency. 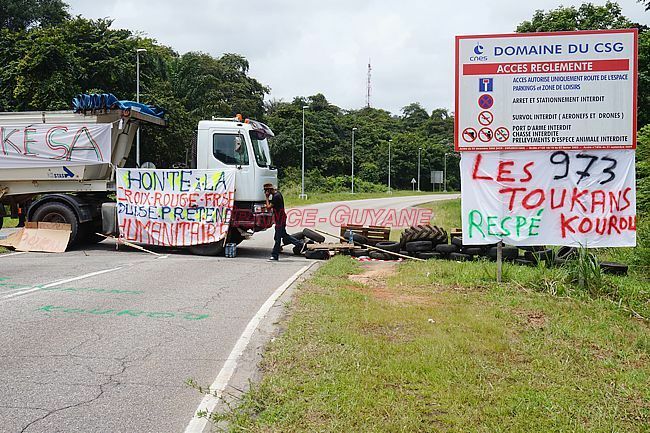 Protesters at the barrier outside the Guiana Space Center also included workers from a road transport union, who claim they are not receiving sufficient work during construction of ground facilities for the next-generation Ariane 6 rocket, according to France Guyane. A CNES spokesperson declined to comment on the situation Thursday. Davy Rimane, general secretary of a French Guiana electricians’ union, said the protest outside the Ariane 5 launch base was symbolic because the French government “only has eyes for the space center,” the French newspaper Le Figaro reported. France Guyane reported Thursday that the Endel Engie strike was over, but drivers had to be helicoptered into the space center to get past blockades outside the southeastern gate of the spaceport. The newspaper reported that local officials said there will be no launch until the conflicts are over. The French government said Thursday that the plan to privatize the Kourou hospital has been suspended, and authorities invited local representatives to meet in Paris on Tuesday to hear their grievances.